In the coming years, you’ll likely have more freedom than you’ve ever had in your life. And while all that freedom sounds delightful, once it’s upon you it can be overwhelming. That’s because retirement is a huge adjustment, and just about every pre-retiree or fully retired person I’ve ever met has expressed feelings of anxiety about the transition. Simply, what does a person do with all that time? Did you know that 62 million Americans volunteered with an agency or nonprofit in 2014? With flexible hours, the potential for personal growth, a limitless number of organizations that are in need, and because “giving back” is one of life’s greatest pleasures, as you look ahead to the future, start considering whether you’d like to volunteer. If the thought sounds appealing, but you don’t know where to begin, here are three steps that should help make choosing a charity or volunteer opportunity a breeze. 1. Do you want to go big or small? You want to volunteer, but deciding to help is only the first step in the process. Every bit as much as you want to align yourself with a well-run charity, to save time, energy and disappointment, you need to be absolutely certain about what you are comfortable offering. Do I want to impact my neighborhood, the city I live in, or the entire world? Do I want to grow professionally, simply brighten someone’s day, or a little of both? Do I want a full-time commitment, or to just contribute a few hours a week? Remember, it’s not unlike a job search, but the difference here is that you’re in the driver’s seat because most charities need good people of all talent and commitment levels. But if you aren’t crystal clear about what you are comfortable offering, you might suddenly find yourself running a struggling nonprofit, and that won’t benefit you or anyone else. 2. Finding a charity. Literally. If there’s an elementary school nearby that’s both familiar and needs a helping hand, and that’s what you’d like to do, then your search could be over. 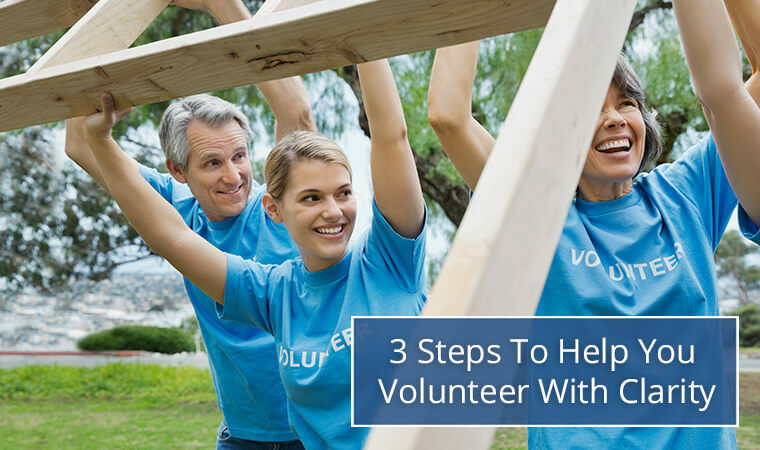 But let’s say you’ve determined precisely how much time and energy you want to spend volunteering, but you have no idea how to find an agency or nonprofit that not only makes a difference in the community, but can make good use of your time and expertise. This is a key part of the process. That’s because, unfortunately, where’s there’s big hearts and good intentions there are also bad actors looking to abscond with the church’s funds. Greatnonprofits.org (mentioned above) actually has comprehensive user ratings and reviews for each nonprofit (one charity had over 3,000 reviews). But that’s just a first step. *If you’ve bemoaned the ever-increasing intrusion of technology into our lives, the existence of GuideStar might help ease some of your dismay. GuideStar is the world's largest database of nonprofit financial information. Through its site you can access not only the IRS filings and Form 990s for over 1.8 million nonprofits (it’s free and easy), but also information about legal claims and other important data going back years. Remember that the best nonprofit may not be the one with the lowest overhead. While you absolutely want intelligent financial design, many of the most effective nonprofits are run like businesses, and that means they want to attract and keep top talent. That said, the average nonprofit spends roughly 37 percent on overhead. As a guideline, because there are exceptions, I would probably eliminate any nonprofit from my list of potential outlets that spends more than 45 percent of their revenue on overhead. The fact is that the people I encounter who report the highest levels of satisfaction in their lives are those individuals who spend time helping others. Communities become stronger, lives are enhanced, and the world is a much better place because of them. Whether it shapes up as two hours a week, or it evolves into a new career, whatever stage of the retirement cycle you are in, I urge you to carve out some time to help those in need.